Introduced over 15 years ago for golf courses who preferred a heavier mat with a solid construction. This mat has a 15mm deep woven Wilton polypropylene playing surface and is bonded directly to a firmer 10mm black rubber crumb backing. The complete mat is twice as heavy as its Three Star sister but sits securely in temporary positions. 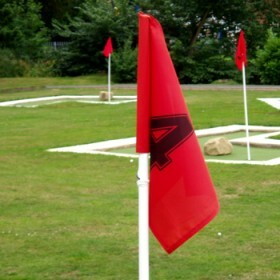 The benefit of the Two Star Golf Mat is that the rubber backing allows the option of having slots put into the mat to take a variety of teeing positions. However, although some clubs prefer slots, it is strongly recommend that rubber tees are used, as this inexpensive item can be replaced, therefore offering an extended life to the mat. Slots are optional but no tees are supplied for these. 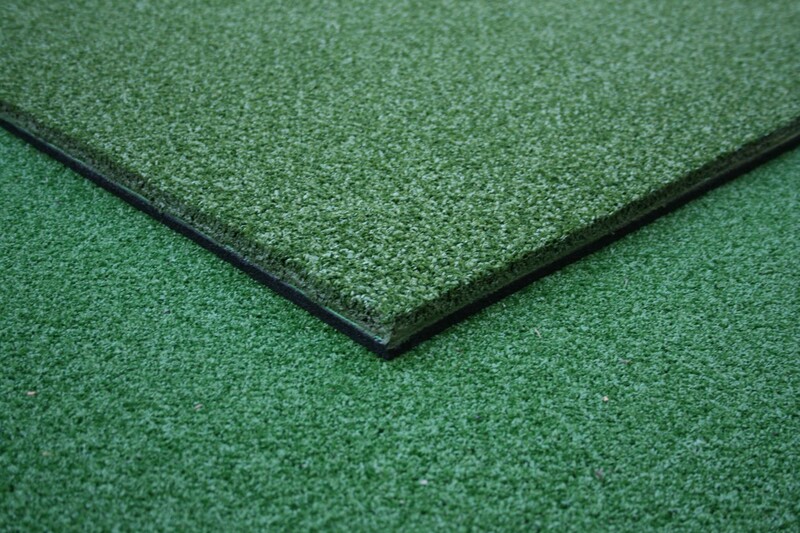 The Two Star rubber backed mat is 25mm thick. For course use – 6 no. 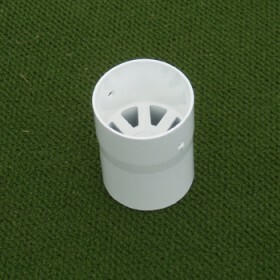 crossed rubber tees; for range use 4 no. tubular tees. Please confirm which are required on ordering.